This is another special post because I had one of my best friends, Matthew, join me for this final part of my trip, and this was a ballpark he had to visit at least once in his life. Even more lucky, I had gotten a hotel only two blocks away from the stadium and was able to fully prepare for this game. In fact, this is another one of those games were I felt completely ready to see every aspect of a new ballpark. Then again, I had gotten very good at preparing with the other 29 ballparks I had visited. The game was on a Friday night, and the weather was fairly mild… a perfect day for a ball game. Since the game was against the Miami Marlins, we didn’t have the overly crowded streets like I had seen on TV last season. 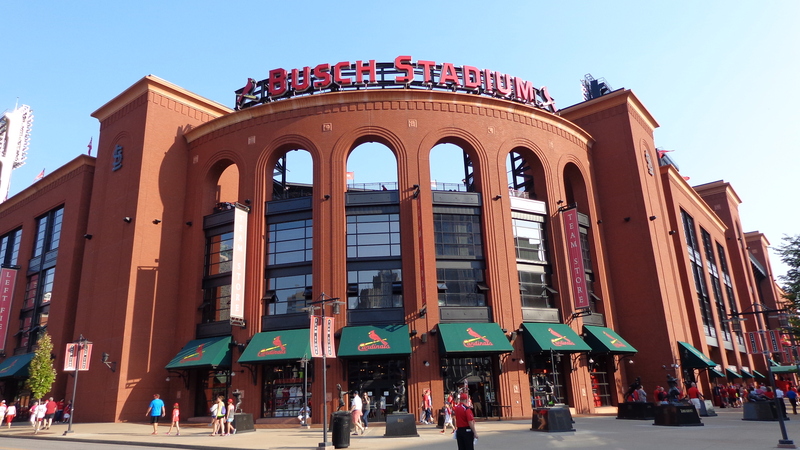 However, that didn’t matter, many fans still showed up en masse because Busch Stadium really is a gem in the Midwest. Would this place live up to expectations?